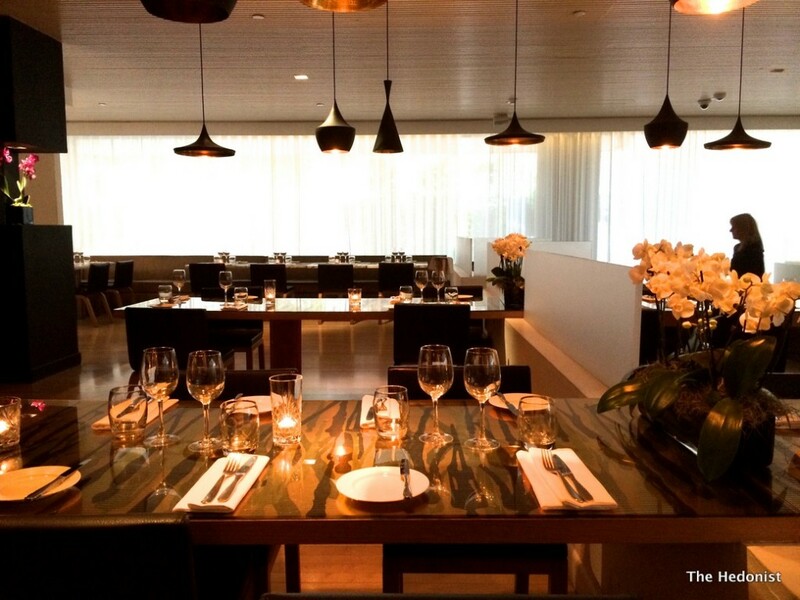 Chef Allan Pickett has been running restaurants for some of the top restaurant groups for some years now. He has worked at Bistrot Galvin de Luxe for the Galvin Brothers, at L’Escargot for Marco Pierre White and most recently at Plateau for D&D. I first encountered him at Aurora at The Great Eastern Hotel which in the ‘noughties’ was the best night out in the City of London with great food, drinks and live music. 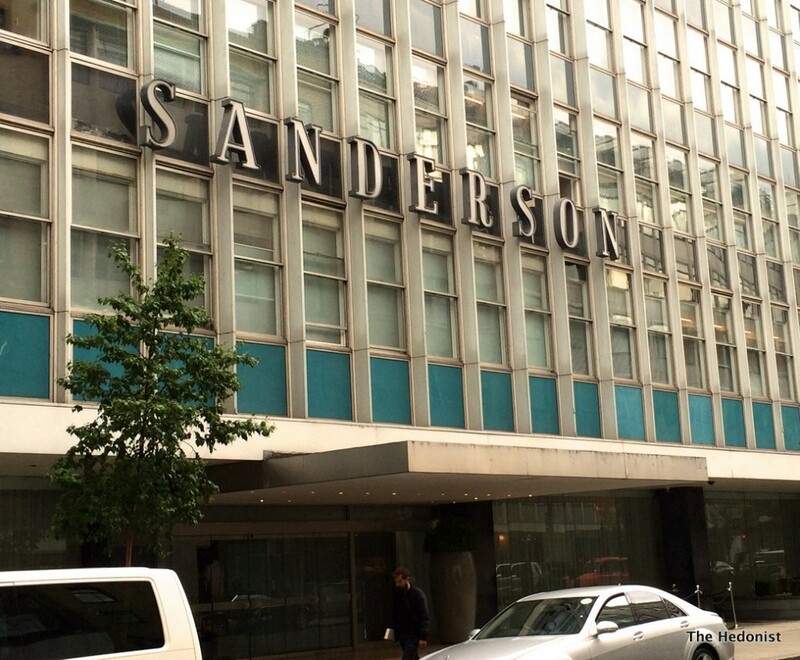 (now called Andaz and owned by Hyatt…). Allan is now working in partnership with restauranteur Andre Blais (Le Caprice/ Belgo/ J Sheekey/ Bodean’s) and in a few months time they will be opening their new venture Picquet (see what they did there) in Newman St. just north of Oxford St. 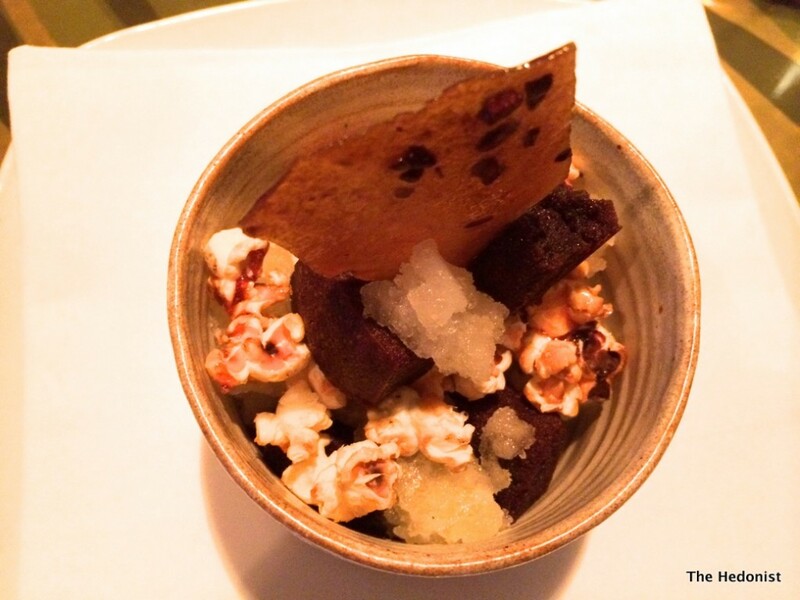 In the meantime they are running a pop-up at Sanderson Hotel a couple of streets along in Berners St. and Fiona and I had been asked along to review. Pickett’s cooking combines a refined French classicism and technique with top British produce and the Cornish Crab, Pressed Watermelon, Petite Lucques tapenade (£11.50) was a perfect articulation of this approach.The watermelon added a subtle sweetness, the tapenade a light saltiness to the crab to create a lovely early summer dish.The accompanying glass of Meran 2014 Pinot Grigio was smooth and full-bodied without overwhelming the crab. 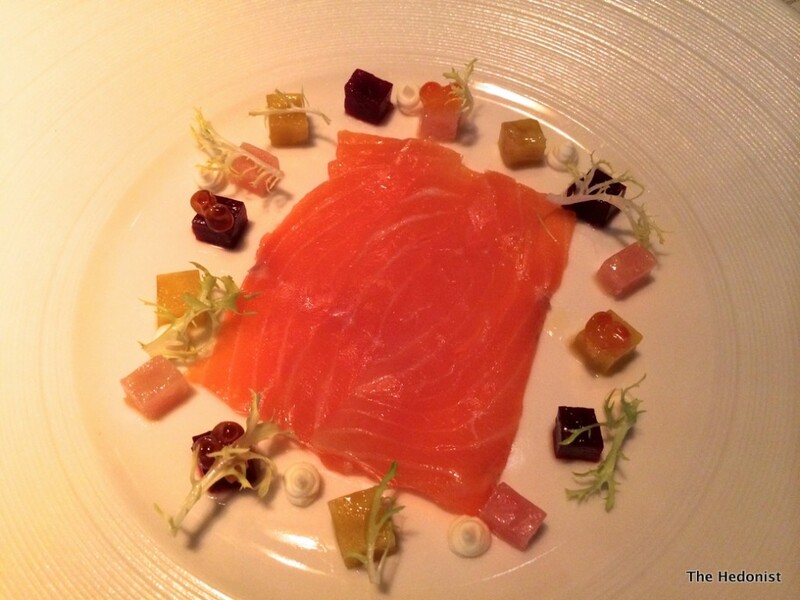 Home cured smoked salmon, crème fraiche, beetroot, caviar (£11.50) was both a pretty and delicious plate and Alain’s choice of the 2011 Chateau Lamothe-Bouscaut (a Sauvignon Blanc/Semillon blend) was an inspired wine match. The mains menu has a point to make. In a world of £40+ entrées ingredients have been chosen to keep the price point down. Braised short rib, with potato terrine, carrot purée, grilled onions (£19.50) was beautifully tender and full of flavour and the Petites Ruches Crozes-Hermitage from Domaine Chapoutier was a full-bodied accompaniment. Another lesser used ingredient in the UK are cod cheeks. 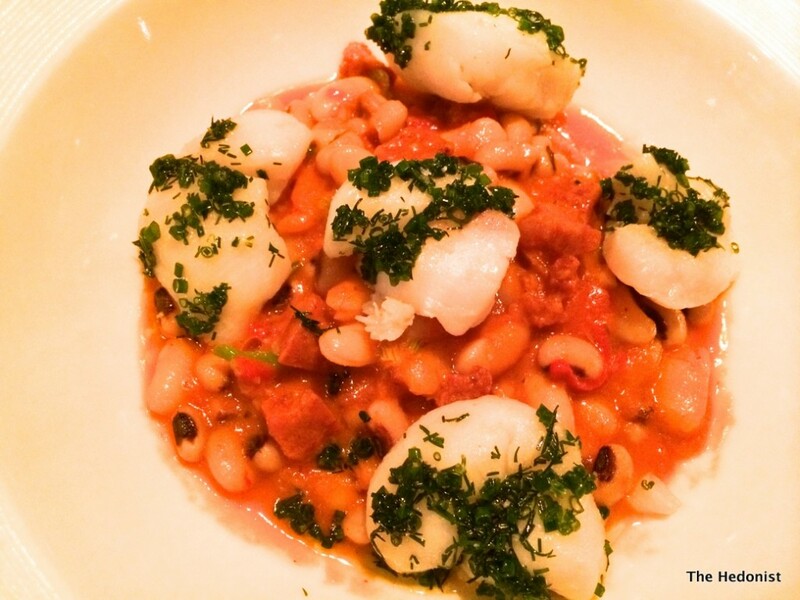 Poached cod cheeks came with a smokey summer cassoulet of white beans, chorizo, herb oil (£17.50). The accompanying 2013 En Rebellion Pinot Noir was light and full of berry flavours. 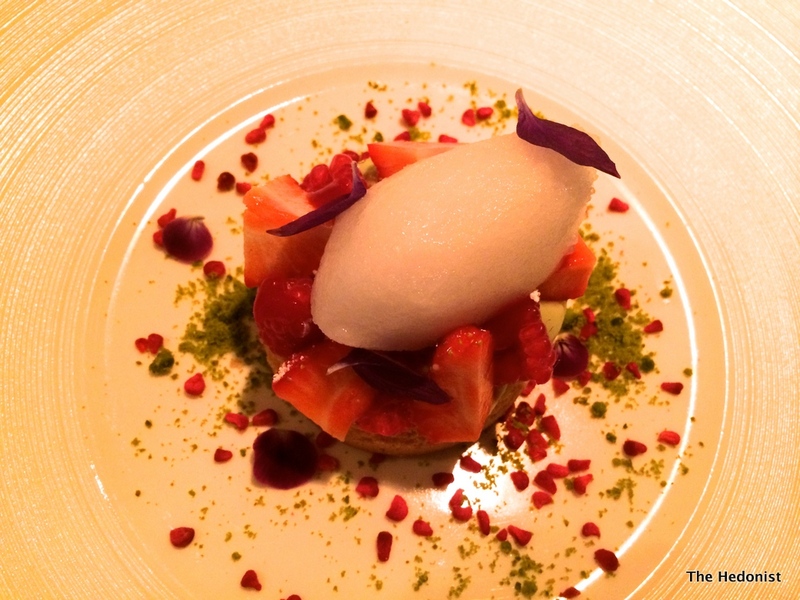 A Sable tart of strawberries, pistachio crème patissière, elderflower sorbet (£7.50) was perfectly constructed, the crumbly pastry offset by the sweetness of the strawberries and the floral sorbet. 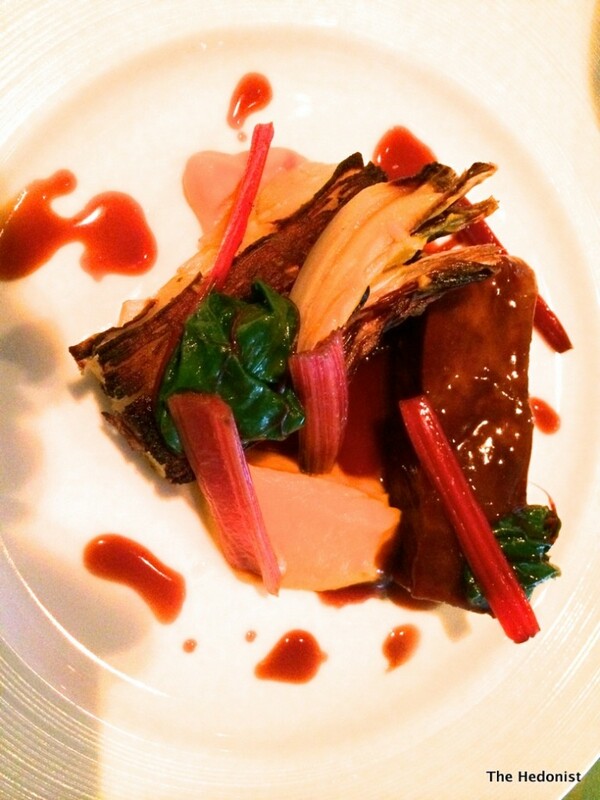 If you are excited by fine dining should really check out Allan Pickett @ Sanderson. 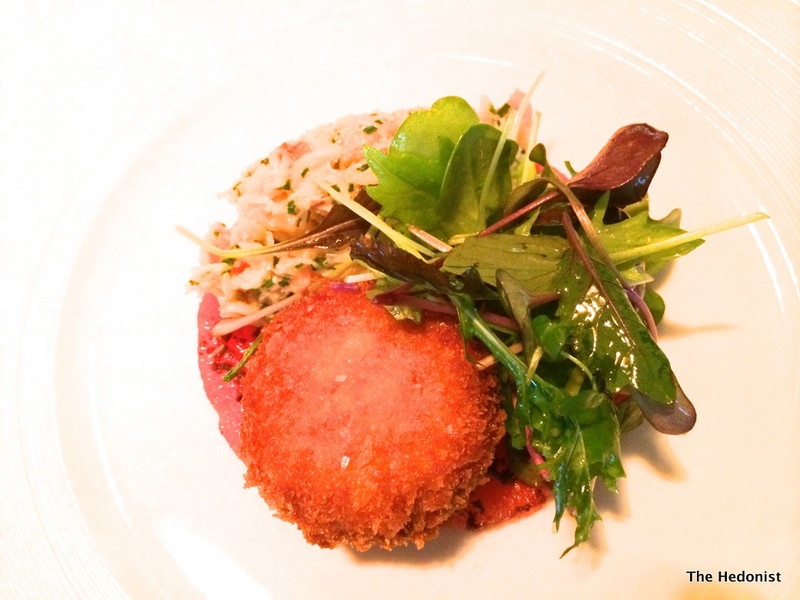 The food is technically precise and skilfully presented but also has great flavour and soul. And as for Piquet it sounds like they are going back to the Aurora offer. Great food, drink and music but at a decent price point. What’s not to like?